When it comes to meeting a woman in a place like Whole Foods you need to be prepared to act quickly. There is no time to think it over. When you see a woman you would like to talk to, you must approach her immediately. Or you run the risk of losing the opportunity for ever. 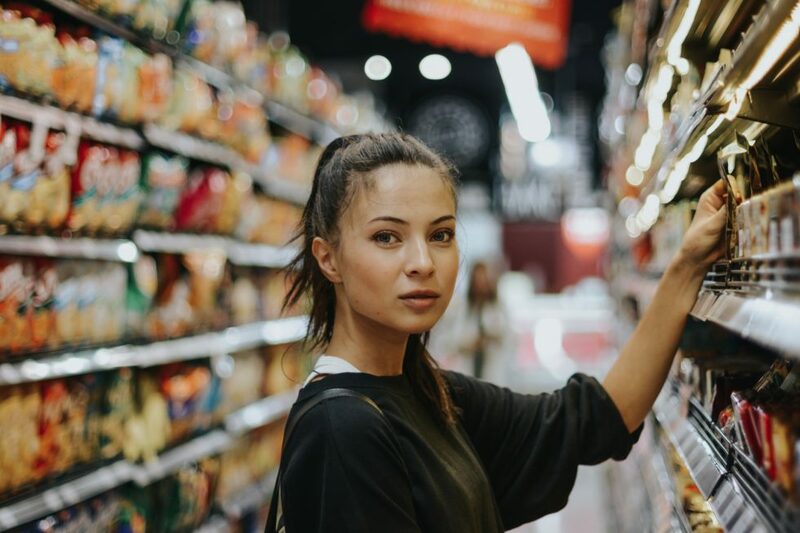 The main thing you want to keep in mind is that everything needs to happen quickly, because unlike a bar or club environment where a woman is relaxed and committed to spending a couple hours unwinding… when a woman is in the supermarket she is not in the same relaxed frame of mind. In fact, most of us try to get in and out of the supermarket as quickly as possible. You need to also understand that this is a numbers game. This means because you don’t have a lot of time to create rapport and attraction your main goal should be to simply get her phone number. The first step is to engage the woman. Since the supermarket provides you with a lot of conversation ammunition it shouldn’t be too hard to approach her. The next step is to connect with her. Now that you’ve engaged her in an amusing way… you need to be ready to connect quickly. An important thing to remember is that you must be prepared to do most of the talking as you’re going to likely catch her off guard. Step three is to attract her. Since you don’t have much time to create full blown attraction your best bet is to use flirtatious humor. You mainly want to get her laughing and smiling. Think of it as giving her a “sneak peak” of your flirtatious side. Do not be afraid to be a little direct about your intentions. Unlike a bar or club where its sometimes better to be indirect, in this time sensitive environment you must make it pretty clear you’re interested in more than just silly small talk. The important word there was “text.” This is because telling her that you’re going to text her is a lot less intrusive then calling. And she’ll be much more likely to give you her number.